By keeping track with latest market development, we are engaged in offering our clients highly reliable By keeping track with latest market development, we are engaged in offering our clients highly reliable Hydraulic Broaching Machine. 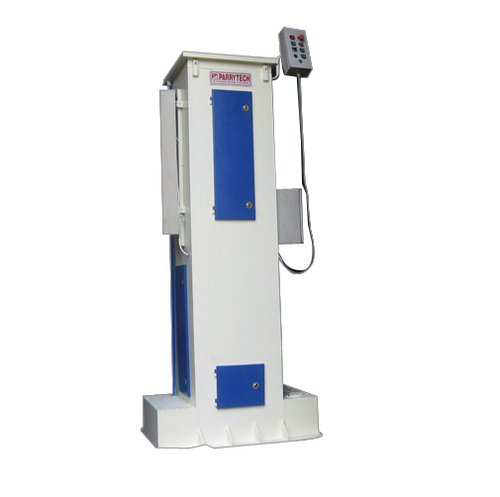 These broaching machines are utilised for hammering, molding, beating, and other allied pressure applications in various industries like automobiles, ship-building. We have been developing the collection adopting automatic controllers along with display systems to provide the clients with ease of usage. Origins of the most established Manufacturer and Supplier entity of high performing Hydraulic Equipment, Parrytech Hydraulics is dated back in the year 2008. Owing to our resources of leadership expertise, we are providing a wide product portfolio of extremely demanded machinery and equipment comprising Deep Draw Hydraulic Press, Cooking Hob Drawing Machine and Press Break Machine. In order to answer to the challenging demands of modern day industrial sectors, we provide the most highly acclaimed range of products that are backed with beneficial advantages of excellent quality, durable performance and corrosion immune service life. We consider the prevailing improvements in technology to provide an innovative series of products that are not only cost-efficient but also work for a prolonged time. To bring forward the suitable proficiency, we design and monitor the evolving business trends and put attempts to engage the challenging technical elements. Moreover, owing to our establishing principles of working the best, we are responsible for encompassing the vital differences and attempting to function at the cutting edge of technology. Since the commencement, we have formed a core expertise to support the customers’ anticipation, which gained us a substantial client base and pioneering place all across the country.